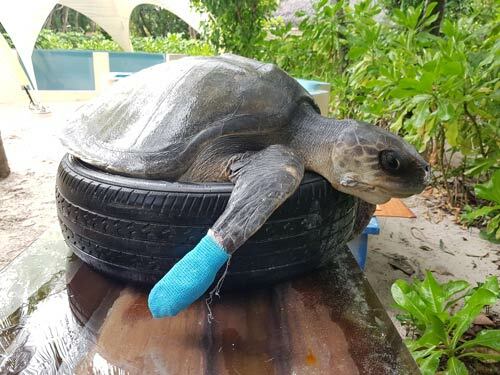 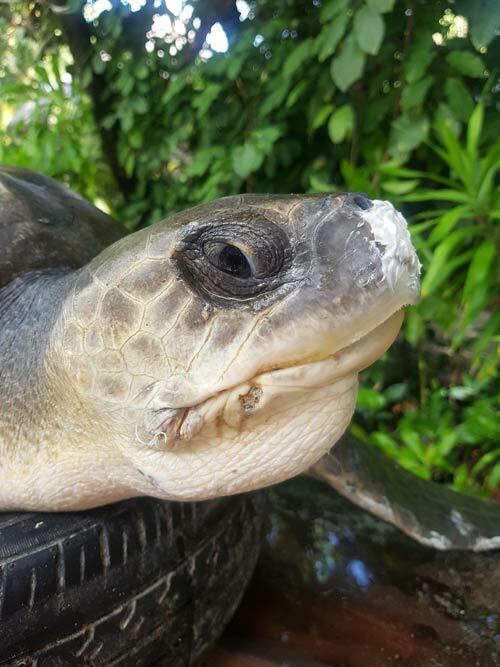 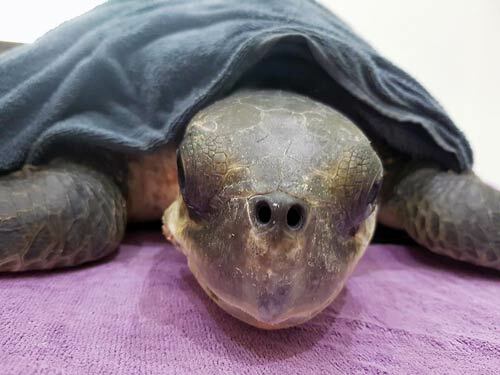 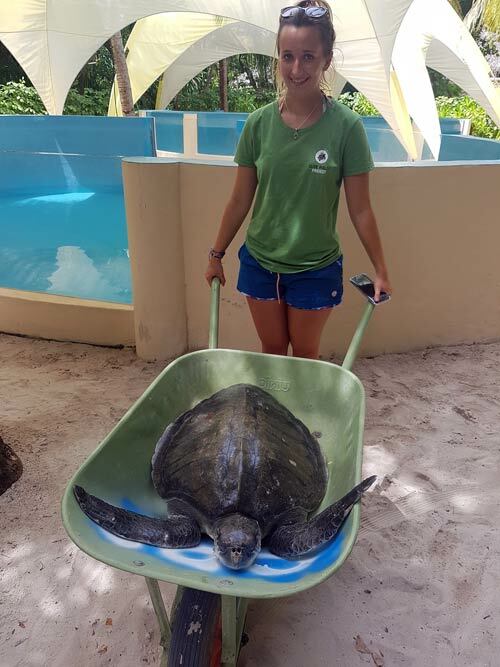 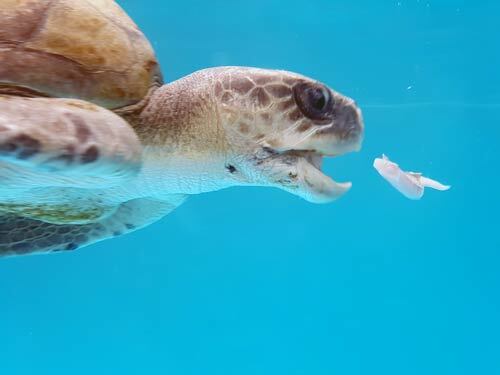 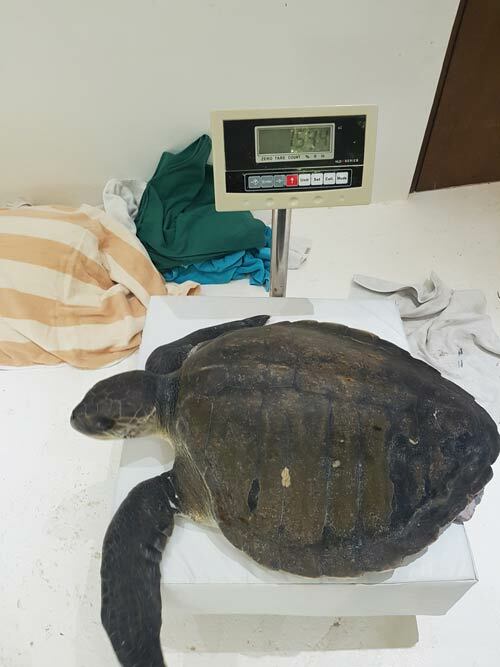 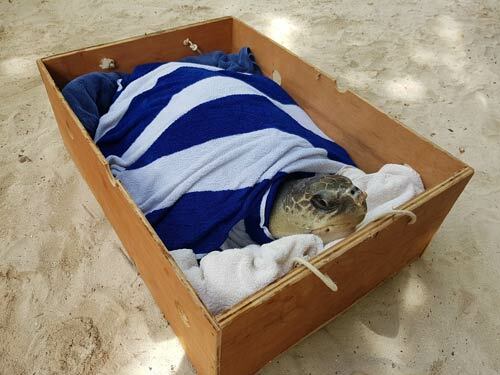 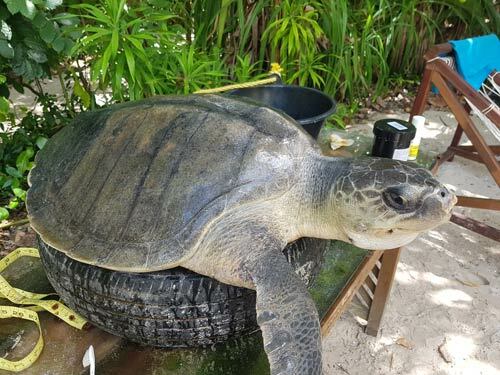 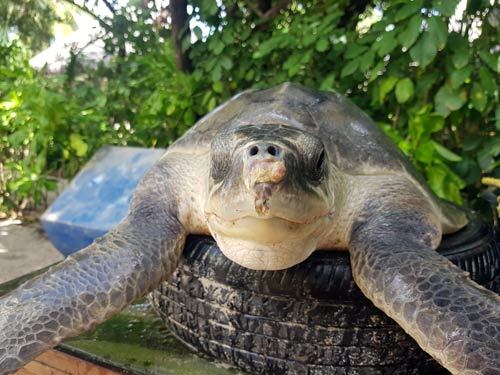 Shelley is a young Olive ridley turtle who was found by W Maldives resort staff in Ari Atoll. 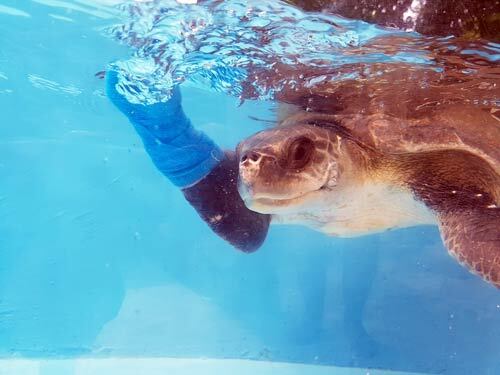 She was completely entangled in a ghost net that had caused severe damage to her back flippers. 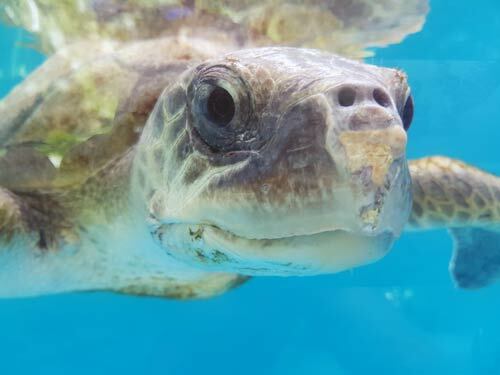 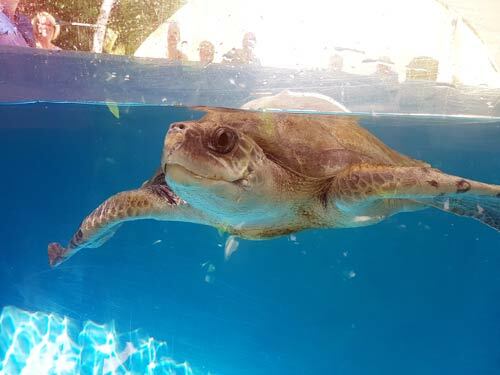 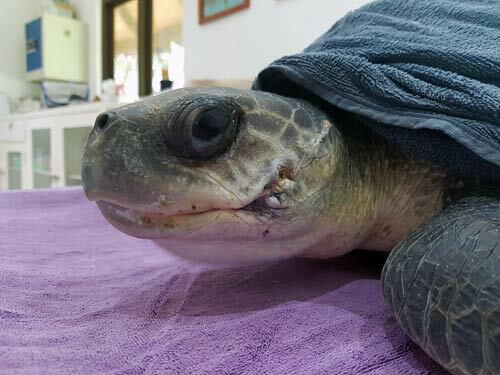 When Shelley arrived at the rescue centre, she needed immediate surgery to amputate both the back flippers. 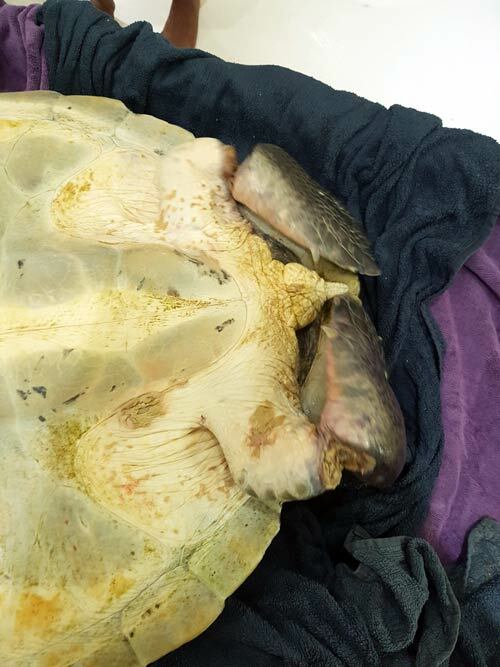 She also had a bad cut to both sides of her moth, on one side the wound was so deep that she needed stitches. 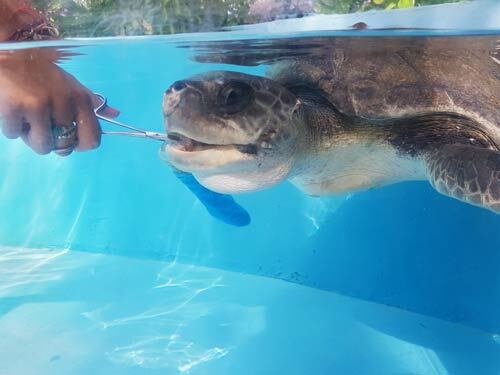 She started eating as soon as she awoke from her anesthesia and she was very active in her tank. 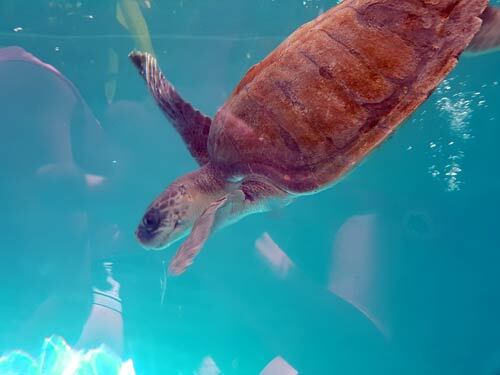 Though she did have buoyancy problems, she tried hard to dive. 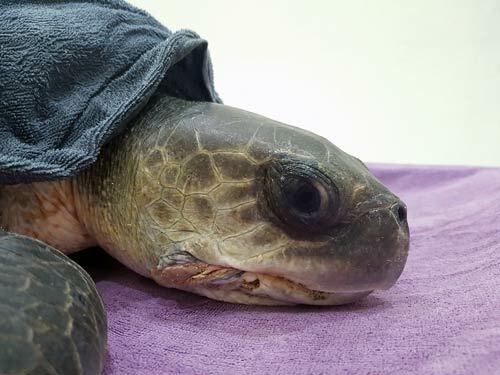 Shelley was treated with antibiotics, pain relief and daily wound care. 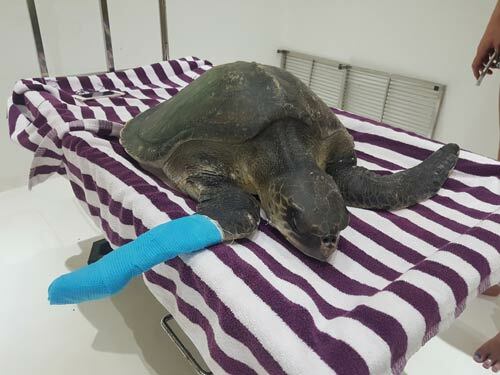 She recovered well from her surgery and a broken finger in one of her front flippers. 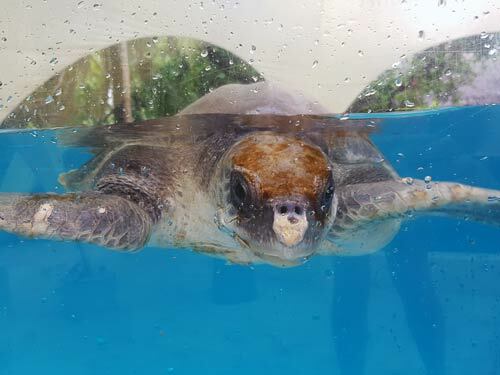 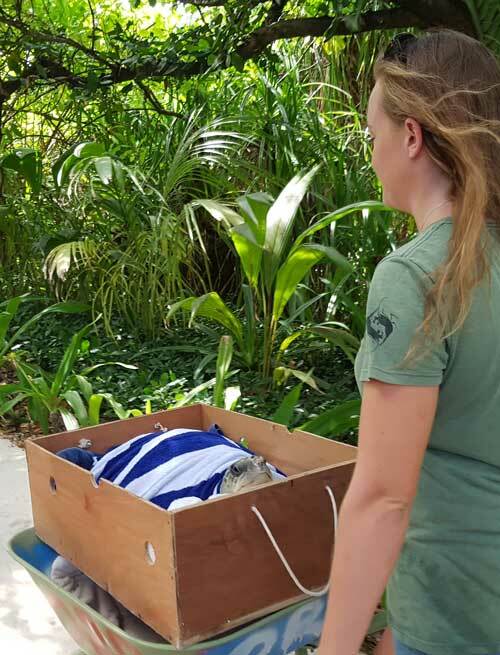 After a few weeks at the rescue centre, Shelley started diving again and once we were sure she was ready, we released her back to the ocean.